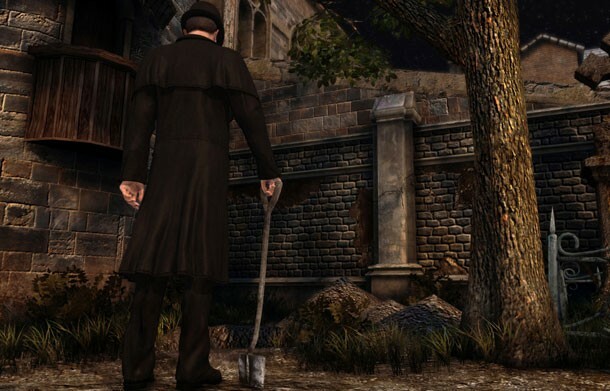 After chasing down London's most notorious serial killer in 2009's Sherlock Holmes vs. Jack the Ripper, the master of deduction returns in another adventure game from European indie developer Frogwares. True to his past exploits, Holmes' newest case provides an intriguing mystery to unravel, despite still falling for some common adventure game pitfalls. 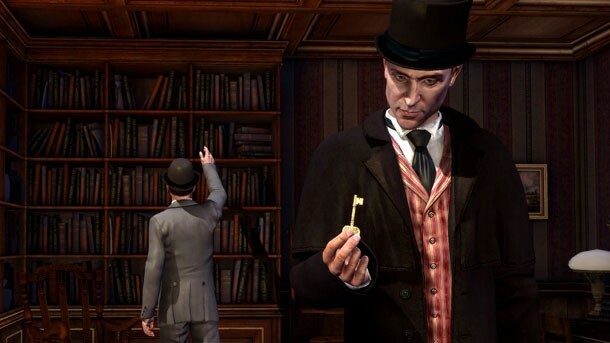 If you haven't played a Sherlock Holmes game before, the series has an undeniable hook. It takes everything you love about old-school adventure games, adds its own unique, deduction-based puzzles, and ties it all together with a plot befitting Sherlock Holmes. While investigating the grisly death toll of Jack the Ripper was more intriguing, The Testament's plot – involving a far-reaching conspiracy to discredit and incriminate Holmes – kept me motivated right up to the end credits. 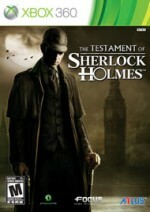 Sherlock is known for looking past the surface details of a piece of evidence in order to find its hidden value; enjoying the game requires a similar discipline. While The Testament provides the greatest graphical improvement the series has seen yet, the game is still rough around the edges. This includes some of the ugliest character models of children I've ever seen in a game, featured in the mercifully brief interstitial cutscenes that frame the storybook narrative. The puzzles suffer from some occasional problems as well. Many of the brainteasers are standard adventure game fare (19th century Londoners sure had a lot of fancy, convoluted locks securing their doors and chests). Other puzzles leave you feeling as confounded and stupid as Watson. Frogwares added the ability to skip dedicated puzzles (though I'd much prefer a simple hint instead of abandoning a challenge completely), but it doesn't apply to environmental puzzles. Sherlock's intuition ability, which highlights important objects in your surroundings, is helpful in this regard, but more often than not it was of no use to the problems hindering my progress. It didn't, for example, save me the half hour I spent scouring a garden because I didn't see a coat in a tree, or the numerous other instances when I had to combine random inventory items, recheck an object after triggering a subsequent event, or traverse an obscured pathway. Like the last installment of the series, I had to check an online walkthrough more than once. Once again, deduction-based puzzles shine; I wish there were more of them this time around. The frustrating moments of confusion and downtime I experienced didn't hold the story back. There are a few questionable moments and unbelievable plot twists (the perpetrator of the prologue's crime is especially absurd), but an amoral Holmes makes it a compelling tale. Whether he's threatening children, breaking and entering, poisoning junkies, or being pushed to the point of murder, the crimes Sherlock commits and gets away with are almost as bad as the ones he's framed for. Frogwares doesn't pull any punches in its irreverent yet thoughtful portrayal of the detective, and is similarly unflinching in the intelligence and attention to detail it demands of players. The Testament joins that small, respected group of M-rated games that actually require maturity from players; recommending this case to adventure game fans is elementary. True to his past exploits, Holmes' newest case provides an intriguing mystery to unravel, despite still falling for some common adventure game pitfalls.